Nuts are rich in nutrients, and most of them have medicinal value, which is favored by people. With the improvement of people's living standards, their market demand is increasing year by year. Nuts are a special kind of agricultural material, usually with a hard or flexible outer shell, such as walnuts, chestnuts, almonds, lotus seeds, ginkgo, pine nuts, seeds and so on. The outer shell of the nut is mainly composed of lignin, cellulose and hemicellulose. It is characterized by hard texture and irregular shape, which makes it difficult to achieve high quality peeling of the shell and nuts. Therefore, nut mechanical peeling has always been an important technical problem facing the nut deep processing industry. The composition and properties of the shells of different kinds of nuts are quite different, which leads to great differences in mechanical properties, and the method of shelling is not the same. Mechanical peeling of nuts is achieved by mechanically applying force to the nuts, breaking the shells, and squeezing, smashing, shearing or colliding the nuts to achieve separation of the kernels from the shells. At present, according to the principle of nut shelling, the mechanical shelling method can be divided into extrusion method, impact method, tearing method and grinding method. 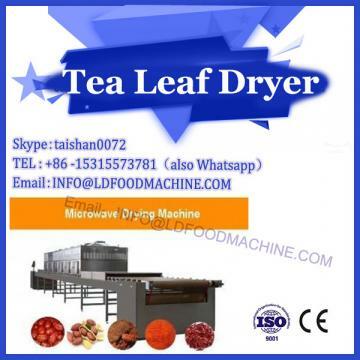 Microwave drying machinery and equipment extrusion method is generally used to crush the nut shell by the pressing action of the pressure roller. 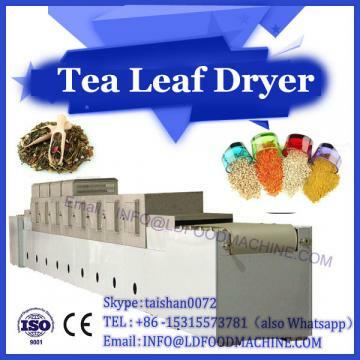 It is suitable for nuts with brittle outer shell and large gap between shell and kernel. Common equipment includes almond shell breaking machine, walnut shell breaking machine, etc. . 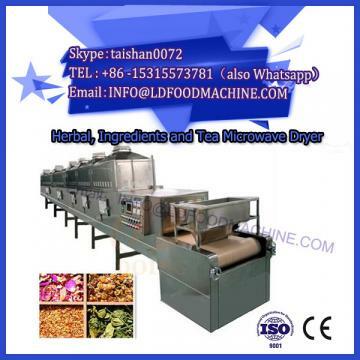 Using the principle of extrusion and shell breaking, our company has developed a cashew nut and shell separator, cashew nut shelling machine, the shelling rate can reach 70%, the breaking rate is less than 12%, the shell content rate and the shell content of the shell are 10 respectively. % and 8%, the shelling effect is better. The machine is mainly composed of a guiding mechanism, a shell breaking mechanism, a classifying drum, a transmission mechanism and the like. It relies on the gravity of the walnut itself to realize the material transfer, so that the walnut enters the cone-shaped grading drum from the hopper, and is arranged from small to large along the axis of the cone. The grading of different sizes of walnuts is realized by the tapered grading roller; the conical roller drives the walnut to rotate and It falls to the guiding roller, and enters the pressing roller, and breaks the shell under the pressing action of the pressing roller to realize the separation of the shell and the kernel of the walnut. The impact method is carried out by centrifugal force, so that the high-speed moving nuts hit the fixed baffle and deformed by force. The shells and the kernel have different mechanical properties to break the shell, thereby achieving the purpose of shelling. This method of shelling is suitable for materials with large gaps between the kernel and the shell, small bonding force and brittle outer casing. The disadvantage of the shell breaking method is that the impact force is too large, which may lead to the breakage of the nuts, so that the crumbs of the shell and the nuts adhere to each other, and it is difficult to separate; if the impact force is too small, the purpose of shelling is not achieved. The blasting method is to peel the nuts by rolling and rubbing. The typical working principle is that the nut is strongly crushed between the fixed grinding piece and the moving grinding piece. The teeth of the grinding piece continuously cut the outer shell, and the frictional force and the shearing force jointly cause the crack of the shell to break. Split to achieve the purpose of shelling. This method of shelling is mainly applied to nuts with low shell hardness and not easy to be broken. The main factors affecting the shelling effect are material moisture content, nut grain uniformity, disk straight and rotation speed, working gap between the grinding discs and The shape and size of the teeth on the plate. The tearing method is a method of peeling the grain by using a relatively rotating rubber roller to achieve shelling. During operation, the rubber roller rotates at different rotation speeds, and there is a certain line speed difference between the rollers surface. After the nut enters the working area, it contacts the two roller surfaces, and enters between the two rollers as the roller rotates, due to the friction of the rubber roller. The coefficient is large, so the nut is simultaneously broken by the frictional force of the roller and the normal pressing force of the roller surface, and the shelling process is completed under the action of the reverse tearing force of the two rubber rollers. This method is suitable for nuts with high flexibility of the outer shell. The main factors affecting the shelling effect are the line speed difference of two rolls, the gap, the hardness of the roll surface, the diameter of the rubber roll, etc.